Irresistable brilliance of our Emily band ring is a perfect add-on to your favorite top or dress. The piece features vertical twisted straps of silver toned metal. Abundant clear crystal embellishment. 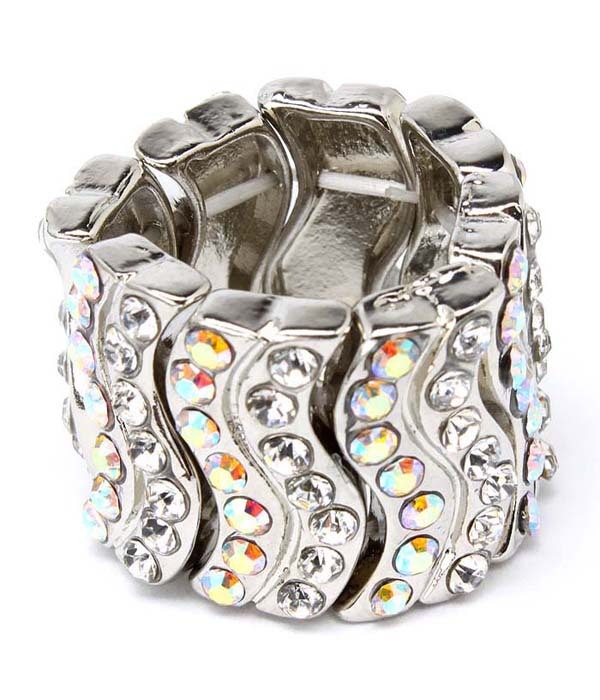 Buy from the hottest range of online costume rings for women right here at Oz Bling.